Peacocks are incredibly beautiful, they’re adored for their magnificent tails and the elegance they exhibit with every step they take. While we don’t get to see them too often, they are a wonderful sight to see. 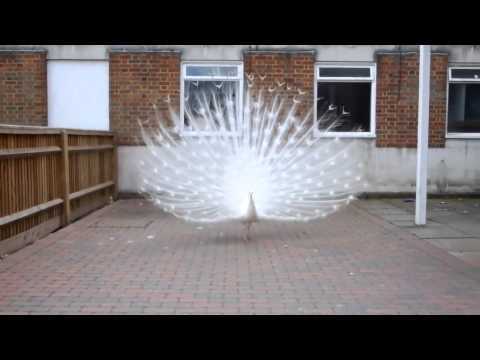 When one man was about to leave his house, he noticed a rare white peacock outside, a very unusual sight, forcing him to get his camera out and record it. It’s as if the peacock knew it was being recorded, as it raised its tail and showed off all of its beauty, even turning to the sides to make sure it was all seen and captured! Rude Woman Specifically Asked For A White Man To Make Her Sandwich. Their Response Is Gold!